The Trans-Iberian blog has moved! Head to our new webpage, on the EL PAÍS site, where we will be relaunching our Trans-Iberian blog, bringing you a selection of stories and posts about Spain both from expats and Spanish authors. Does Brexit spell trouble for Brits and Madrid's pioneering bilingual schools scheme? It sometimes feels as though Britain's only export to Spain is the English language. Visit a bar in central Madrid and you're as likely to hear an English voice as you are to be given tapas. Pick up a menu and you’ll probably be able to order Spanish omelette as well as tortilla española. Walk past certain public schools in the capital and you'll notice a feature of its signage is the Union Flag. This is because the Comunidad de Madrid is home to a pioneering bilingual school system. It's a huge employer of native English speakers in teaching assistant, or auxiliar roles, and a demonstration of confidence by policymakers in a future where freedom of movement between Spain and Britain was probably foreseen. But this bilingual programme – which uses English to teach Spanish schoolchildren subjects as diverse as Biology and Music – is among the many things Brexit has cast into doubt. Its overall existence is almost certainly safe. Britons, after all, aren’t the world’s only native English speakers. But Britain’s impending divorce from Europe may threaten the involvement of Spain’s nearest Anglophone neighbour in the scheme. British Prime Minister Theresa May triggered Article 50 yesterday. With it she began a two-year process of negotiation during which nearly everything is on the table – including free movement of labour. If that goes, so does a massive advantage of the programme for Britons: the ease of applying. Language assistant Rajini Vimalanathan Oliver, 40, works in a bilingual primary school in the north of Madrid. The married mother-of-two, originally from London, said she would “definitely” have thought twice about applying had the process been more difficult. “I've been here nine years and nothing is easy, there's a lot of bureaucracy,” she said. Briton Katie Spoor, 24, works at a nearby bilingual secondary as an auxiliar and says she was nearly turned down for another job in an academy “because the owner thought I wasn’t an EU citizen anymore”. She agrees more paperwork could put Britons off. “I'm not sure if it would have stopped me but I would have thought twice for sure,” she said. Carmen Morán is the co-ordinator of the bilingual programme at IES San Juan Bautista, one of Madrid’s first ever bilingual schools. She urges the British government and negotiators not to thrash out a deal that erects barriers for Brits wanting to take part in the scheme. “We should push and pressure so that things don’t change,” she said. “Normally, when they hire English people they tend to say it’s much easier than with American people. I think it’s much easier with passports and permission et cetera when they are living in Europe. So it might be more difficult in comparison with Irish people, for example." She added: “We’re not so happy with having so many Americans. Students are more exposed to that accent through culture and media et cetera. A lot has happened since the last time I wrote for the Trans-Iberian Blog. Somehow, I’ve transitioned from travel blogger extraordinaire to medical cannabis writer on a mission. I’m not sure how it happened. One of those unexplainable chain of events, or were they heavenly stars aligning? Either way, my days now involve wading through PubMed papers, unpacking the intricacies of the little-known endocannabinoid system, and telling the stories of the thousands of patients who find relief through the much-maligned cannabis plant. The funny thing is that before my new incarnation, I hadn’t really smoked a joint in years. In my twenties in Madrid it was something I’d do from time to time. But that was smoking hash in the mid-nineties. Back in the UK where grass ruled the roost, a few puffs saw me entering an oppressive inner chamber of fear and paranoia. So, that saw the end of my relationship with cannabis. But then began a gradual trickle of information about the cannabis plant and its health benefits: people claiming it cured their cancer, stopped their Parkinson’s shakes, and freed them from the rigid prison of multiple sclerosis. Fast forward a year or so, and the gift cannabis gave of dying with dignity to my friend’s mother ignited a heartfelt commitment to shatter some of the myths peddled by mainstream media. And then, it happened. My path crossed with a Danish company called Endoca who make health products from hemp. Before I knew it they’d offered me a job, and I’d become an accidental expert on the cannabis plant and its therapeutic uses. So, how come I’ve just joined a cannabis club? Well, if I’m honest, it’s some sort of weird, completely unscientific experiment I’m doing on myself. Through my work I’d read a lot about the compounds in cannabis called cannabinoids. Hemp is rich in a cannabinoid called CBD, which studies show to be anti-inflammatory, anti-epileptic, reduce feelings of anxiety, and can be a safe alternative to prescription pain killers. Because unlike THC, there’s no mind altering ‘side effect,’ it’s sometimes painted as ‘the good cannabinoid’ and by association THC ‘the bad’. But the more I read about THC, the more I began to realise that despite its sometimes uncomfortable high, it had been tarred with a brush it didn’t deserve. So, living in Spain where cannabis clubs are a plenty, I figured that this was the best chance for me and THC to get better acquainted. So here I was, standing in reception at ‘El Perro Andaluz’ in the historic centre of Seville, one of the many cannabis clubs peppering the city. It was lunchtime on a Wednesday and inside the atmosphere was more six form common room than illicit drug taking den. It’s fair to say I was the only 40 something English woman present, everyone else seemed to be male, slightly grey in pallor, and in their 20s. In what reminded me of a school tuck shop cubby hole, a smiley chap called Javi patiently advised me on the strain of cannabis that might suit me: too Sativa heavy and I might never come down, too much Indica and I’d have to be peeled off the sofa. So, in the end I opted for a strain called ‘cheese’. I didn’t even need to be stoned to find that amusing. I was just about to leave my new friends when I was offered the chance to try out the house vaporizer. Fast forward twenty minutes and I was gingerly picking my way back home, silently worrying about the possibility of meeting anyone in my path. Because guess what - I was completely twatted. On a Wednesday afternoon. Safely back at home, I was suddenly overwhelmed with an intense hunger. From a biological point of view, I know why this happens. THC convinces the brain we’re hungry, even when we’re not. That’s why it can be an effective treatment for any illness where appetite is impaired. But knowing this didn’t take away from the fact I was ravenous. And all I had was a pan of homemade broccoli soup, not your usual munchies fodder by any means. By the third bowl I felt vaguely satiated, but still utterly stoned and incapable of doing any work for the rest of the day. Eventually ‘normality’ did reign once more. And now my ‘cheese’ consumption involves ‘micro-dosing’ a couple of puffs a night before going to bed. It’s been about two months now since my 'THC experiment' began. And while this doesn’t constitute any form of double blind, placebo randomised trial, my experience has been the following: I have been feeling well. When I say well, I mean happy. Not stoned happy. But happy in my heart. Optimistic, positive. Something I haven’t felt for years. Is it down to cannabis? I don’t know. What’s different in my life since I started experiencing this feeling? If I’m honest, I’d say cannabis. Will I continue taking it? Yes, but only in small doses. Does this constitute medical advice? Absolutely not. Crystal Fighters, by Jackson Grant. Interview with Sebastian Pringle, centre. 2016 has been a year marked by divisiveness, politics that promote a fear of others and a movement to put up walls and barriers around our national identities. Global political attitudes have shifted toward a national defensiveness and a distrust of alien cultures, veering away from ideals that embrace, accept and celebrate differences. But if there is one band that is standing defiant in the face of those ideologies, it is Crystal Fighters. Based in London, the band’s core members are Sebastian Pringle (vocals, guitar/ukelele), Gilbert Vierlich (keys, guitars, Txalapaparta) and Graham Dickenson (guitars. txalaparta). They formed in 2007, and while Sebastian and Gilbert are both Londoners, Graham is from the US and former singers and original band members Mimi Borelli and Laure Stockley are Spanish and of Basque descent respectively. The band were inspired by stories in a notebook authored by Stockley’s Basque grandfather (the name 'Crystal Fighters' was taken from a play written by him). From the start, the band’s sound was grounded in Basque-folk influences, combining electro beats with the ferocity of the txalaparta, a Basque percussion instrument. Crystal Fighters nurture and encourage optimism. Two years ago their drummer Andrea Marongiu tragically passed away from an underlying and undetected heart condition. Despite this, the new music has not ventured into negativity or hopelessness. Rather, they pay tribute on the track “Lay Low”, which celebrates life and the profundity of the love between friends and family. It is an uplifting track, emblematic of the attitude of the new album. Crystal Fighters are currently on their European tour, and will play Spain in December. For more information, click here. "Everything is my Family" is out now. “Women that make noise” - Francisca Valenzuela’s Ruidosa, the festival challenging Latin American patriarchy. One day after the mass Ni Una Menos protest, which demanded women’s rights and safety against rising instances of domestic abuse and femicide in Latin America, Chilean pop star Francisca Valenzuela talks to us about using music as a platform to campaign for women’s equality. In November she will bring Ruidosa, a feminist-focused music festival, to Mexico City. Francisca Valenzuela is speaking to us a day after the Ni Una Menos (Not One Less) protest, which took place in Buenos Aires, Santiago de Chile, El Salvador, Mexico City and other locations in Latin America. 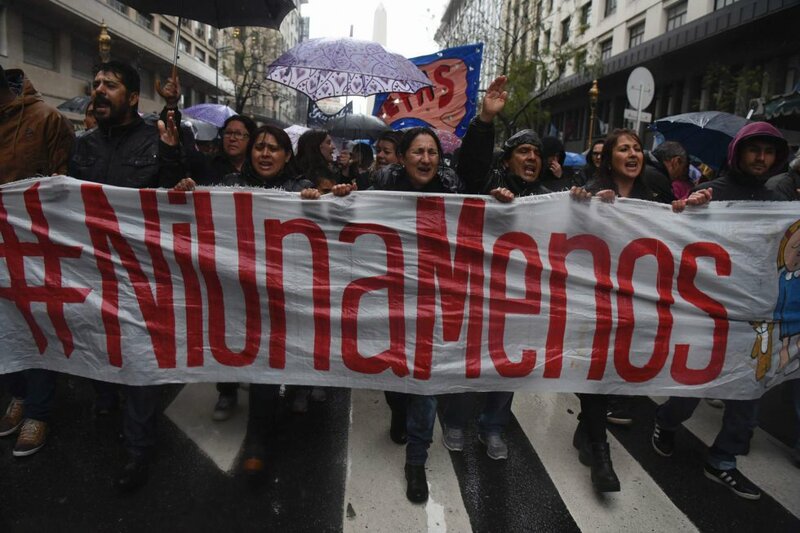 The protests came about after the heartless killing of sixteen-year-old Lucía Pérez, who was drugged and raped multiple times in Argentina’s Rio Plata, dying as a result of her injuries. Outrage and horror provoked thousands of women to take to the streets in Buenos Aires – sparking a chain reaction in other cities of Latin America, where incidents of domestic abuse and femicide are rising. “...as last week has been so intense, with this catharsis of women telling their stories, men and women are becoming conscious of things that activists and feminists have always been aware of” she continues. Valenzuela participated in the protest in her hometown Santiago. She is an active campaigner of women’s rights, understanding the importance of bringing women together to share their stories and experience of mistreatment and injustice. In March this year she launched Ruidosa in Santiago, a music festival dedicated entirely to addressing misogyny in the music industry. In between a series of concerts which took place throughout the day, female musicians and music industry professionals came together in panel discussions to share tales of their own personal struggles in the male-dominated industry. Taking place on the 4th and 5th of November, Ruidosa will bring female authors, artists and musicians together in the free festival in Mexico City, with the aim not only to discourage sexism, but also to celebrate, encourage and empower women - in all industries and societies. “...the music industry is the initial approach, but of course the intention is for it to grow, drive change and look for answers in other areas of culture and creative industries” Francisca stresses. Valenzuela has addressed the issue of sexism and sexuality in her songs, most markedly in 2015’s ‘insulto’ - a song which defies the patriarchal ‘norm’ in support of gay rights. Twenty-nine-year-old Valenzuela is currently one of Chile’s most successful musicians, with large fanbases in both the US and Latin America. In her activism, she follows a Chilean tradition of combining music with socio-political statements, ranging back to 50s-60s folk icons Violeta Parra and Victor Jara, to contemporary compatriots such as rapper Anita Tijoux. Is there a sense of obligation and responsibility for Chilean musicians to use their influence to initiate change? Ruidosa takes place on the 4 & 5th of November in Mexico City. For more information, click here. For the past three years, and now a fourth, early November in Barcelona has meant one thing to me: IMPROV INTENSIVE with the BIG IF. “Improv” or “impro” is short for “improvisational theatre” and the BIG IF is the biggest English-language improv festival in Europe. It’s organised by BIG, the Barcelona Improv Group, founded in 2011. The festival has been taking place in the Gràcia neighbourhood of Barcelona on the first week of November since 2013. This year it takes place from the 2nd to the 5th November. In it participants get the chance to take great variety of workshops and watch up to 5 different shows per night. These shows offer the audience the chance to see many kinds of improv styles and groups from all over the world, including mixers that perform for that night only. The festival has grown enormously since its first edition in 2013. It started with 3 nights of shows and 4 rotating workshops during 3 days and round 100 registered participants, this year’s edition has almost 200 registered improvisers taking up to 29 different workshops led by 17 teachers from around the world and performing shows during 4 nights. The workshops delve on all kinds of performance skills applicable, not just to improv, but to acting in general. These include buffoon, masks, using soundtrack, musical improv, stage presence, storytelling, directing, and performing for children. The shows also present a great variety of styles and formats, making for an evening out in which anyone can find something to their pleasing. Improv is a type of theatre in which the scenes and stories are made up on the spot, without script, props or anything but the quick thinking and connection between the players. The main point of improv is to “yes and” any situation that comes up. This means accepting what’s going on (YES!) rather than fighting it (negation), and then adding your own personal touch to it (AND…). It has a predecessor in the Commedia dell’Arte of the Italian Renaissance, with its improvised plays based on vague plot outlines and the use of stock characters. Present-day improv comes from the study theatre games for education and developed into a strong network with schools such as Second City and Improv Olympics. Quite a few well-known actors such as Bill Murray and Kristen Wiig started off doing improv. BIG is the only English-speaking improv group performing regularly in Barcelona at the moment that also offers improv classes and team building workshops for businesses. However it’s far from being the only improv group in the city. There are many other Spanish- and Catalan-speaking groups in Barcelona such as Impro Acatomba and The Modestos which will also be performing during the BIG IF. Why would a country reject peace? Two years on, people outside of Colombia are asking similar questions about the Colombian peace referendum. Why would a country with such a tragic history - a 52-year-long civil war which has caused 6.9 internally displaced victims - vote against peace? It’s not a decision as simple as a 'yes' or a 'no', as the referendum required it to be. For many Colombians who voted against peace, the deal was too lenient on the FARC and granted the rebel guerrillas too much political power. 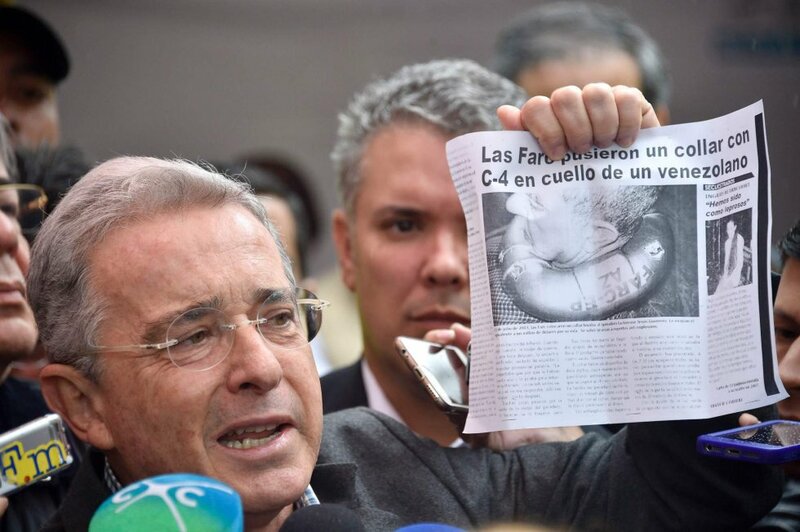 Another major factor is the ongoing influence of Senator Uribe over the Colombian electorate. Álvaro Uribe Vélez was president from 2002-2010, and the current president, Juan Manuel Santos, initially served as a Minister of Defense under him. With Uribe’s support, Santos succeeded him. However, the two fell out due to their diverse attitudes in quelling the civil war. Their distinct approaches towards peace have divided public opinion. This culminated in Uribe launching a campaign against Santos in the 2014 election. Santos won narrowly, and Uribe remains his main political rival, staunchly against the peace negotiations. Uribe is the at the head of the ‘No’ movement. His father was murdered by the FARC and he is not forgiving of the rebel factions' past. Conversely, Santos claims forgiveness is the only way to achieve peace. The 'No' campaign targeted different Colombian communities. For example, while the Catholic church leaned in favour of peace, the Evangelists were largely influenced by the 'No' campaign. One example of this is Oswaldo Ortiz, an Evangelist 'digital pastor' and prominent online personality who claims ‘only peace can be achieved with God.’ For many 'No' voters, Santos’ acceptance of the FARC was too far away from religious principles. Saying ‘No’ was a way to combat increasingly liberal influences. Additionally, Santos’ appointment of the openly gay politician Gina Parody as the ‘Yes’ campaign coordinator was interpreted by the ‘No’ campaign as a way to threaten conservative family values through the peace treaty. Another motivation to vote against the peace deal was a fear of becoming like neighbouring country Venezuela. If you look at an infographic of how regions of Colombia voted, there is an obvious correlation between areas worst affected by violence voting for peace, while those more distant from conflict areas voted no. Uribe is a controversial figure, and an unpopular one for victims of the conflict. His methods of stopping the FARC were violent, and many believed that Uribe himself encouraged paramilitary activity to take down the FARC. It was largely fighting between FARC and other rebel groups that caused innocent deaths and civilian displacement. Victims of this do not wish to return to Uribe’s hard-line tactics, preferring Santos’ measured and diplomatic approach in securing peace. After the referendum outcome, Santos initially announced that a cease-fire would remain in place until the end of October. Since then, thousands of Colombians have marched for peace in Bogota and other locations throughout the country. Perhaps as a result of this, the cease-fire has been extended until the end of the year. 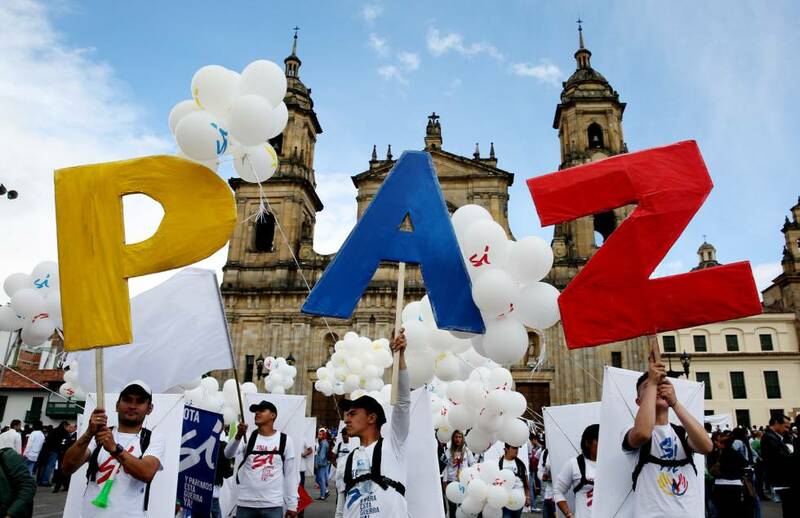 Even if Colombia voted 'yes', it would be a small step towards peace. While the FARC is Colombia's largest guerrilla group, armed rebel groups and narco bacrims are still active in areas around the country. Peace talks with the country's second largest rebel group, ELN, have been announced for later in the month. 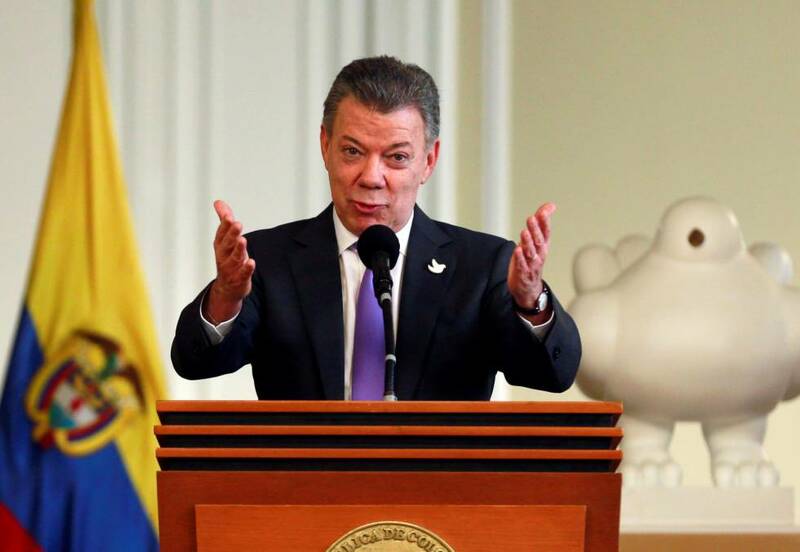 Last week, President Santos was awarded a Nobel Prize for his peace efforts. It is hoped that this recognition will help the Colombian public come to an agreement in a resolution of the conflict. Anglo-Spanish author Susana Medina gives three lessons about three objects, which relate to three different identities and three stories. This audio slideshow explores and studies her relationship with objects in a similar fashion to Susana Medina's literature. When Susana Medina speaks, her voluptuous lips resemble a place to rest. Salvador Dali’s powerful Mae West bocca sofa comes to mind. When Susana and I met earlier this year, we were discussing the power of objects, the main theme of her latest novel. The book is called Philosophical Toys and it's her debut novel written in English. The story explores and studies our relationship with objects, masterfully interspersed amid a plot that leads us to London, Spain and Mexico, while the reader discovers many engaging characters, some of whom are collectors of objects and inquire about the enigmatic nature of the things. Playfully concocted, her novel is both a celebration and critique of our relationship to objects from fetishes, to curios, to commodities, to objectum sexuality, to our becoming cyborgs through our addiction to technology. "Susana Medina's writing displays a sense of elegant engagement with a minatory world, the prose is both spare and lush, and there's a commendable tension about the enterprise." Susana Medina has written and published poetry, a novel, stories, essays and a cinematographic script. She has made two short films based on Philosophical Toys, Buñuel’s Philosophical Toys and Leather-bound Stories (co-directed with Derek Ogbourne), and received numerous awards, including the Max Aub International Short Story Prize. Other works include Red Tales (bilingual edition, co-translated with Rosie Marteau) and Souvenirs del Accidente. Her work is featured in Best European Fiction, 2014, Dalkey Archive Press. Born in Hampshire, England of a Spanish father and a German mother of Czech origin, she grew up in Valencia, Spain, and has lived in London since 1989. Susana's work is published by Dalkey Archive Press, a publisher of fiction, poetry, and literary criticism recently relocated to Texas in the United States, specializing in the publication or republication of lesser known, often avant-garde works, as well as major international authors in translation. "A shockingly beautiful innovative voice in which the sublime and laughter are perfectly matched." "Susana Medina is a genius!" The novel entitled, Philosophical Toys by Susana Medina is published and sold by Dalkey Archive Press as well as Amazon and other good bookshops. The tour is so overbooked that Jaime Riesgo, 29, splits the group in two and leads one half to the basement of his La Virgen craft beer microbrewery. Business partner and wife AnaElena Coelho, 30, takes charge of the remaining attendees. In Spain, it’s not just La Virgen that is seeing sales of craft beer bubble over. Between 2008 and 2016 the number of microbreweries in Spain grew by more than 1,600%, four times more than the second highest growth rate, in Czech Republic. While Spain continues as the world’s number one producer of wine, squeezing 22.6 million hectolitres form its vineyards in 2014, the Mediterranean country climbed to sixth position that same year in the league of European microbrewers of beer. Putting a solid reason to the sudden growth in beer full of flavour and brewed with care, is difficult to define with certainty. However, the correlation between Spain’s hop revolution and the start of the economic crisis in 2008, which pushed the country's unemployment rate above 20%, is more than coincidence. With just 21 craft breweries operating in 2008, the drinks industry in Spain was dominated by a small number of large brewers whose regional sales had been cemented by government policy during the Franco dictatorship. 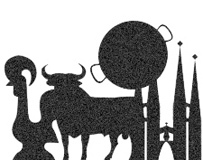 Madrid was Mahou, Cataluna the territory of Estrella Damm, while Cruzcampo held the South. In Madrid, trendy neighbourhoods such as Malasaña, Chueca and La Latina were among the first to open their doors to smaller brewers. In April, the second Lavapiés Craft Beer Festival was held supported by 27 bars and two stores. In June, the third Madrid Beer Week hosted tasting sessions, classes in brewing, brewery tours, beer markets and product presentations across more than 140 locations. Separated into columns headed by state flag, Birra y Paz proudly displays Spain’s regional variety in craft beers. The shop opened in Madrid’s upmarket Retiro neighbourhood in 2013, as one of the first shops to sell craft beer outside of the capital’s central streets. Since Spain’s economy went into deep recession in 2008 and unemployment has soared to above 20%, hundreds of thousands of Spaniards have left the country to seek opportunity elsewhere. Alongside returning with a taste for products inspired outside of Spain, Maria believes the crisis has encouraged the country’s food and drink entrepreneurs to stand on their own two feet. Any El Pais reader who practices the fitness regime and sport of CrossFit will know about "The Open", "Regionals" and "The Games". They are yearly international events to find the fittest people in the world. The process started with "The Open" which is exactly that, anyone could enter, and many thousands of people from around the world did. It was over five weeks, every week there was a new qualifying test to do which was announced on the Thursday night, giving you until Monday evening to complete it and record your score. You either did the test in a CrossFit affiliate (such as CrossFit Mallorca in Son Bugadelles Santa Ponsa in Mallorca where I train and where these photographs were taken over the course of the Open) or you could do it independently and video it. There were some astonishing entries from competitors around the globe, including athletes with disabilities, beginners who are giving it a go despite being many kilos overweight, or suffering from some debilitating disease, elderly people, and of course the elite athletes that personify the sport. My personal favourite was a young man in Romania, Barni Böjte, who executed the various workouts which made up the qualifying entries at his family's farm. His videos (which you can see on the CrossFit.com website http://games.crossfit.com/article/fitness-raw) featured chickens, dogs, and the interior of a barn. There's really no barrier to it: even I took part. Sport hasn't been a serious part of my life since I was a child, so, it came as quite a surprise to me (and to anyone who knows me) how much I have been caught up into the world of CrossFit. Looking at it dispassionately I can see the appeal: it's a community, it has its own language (AMRAP, WOD, EMOM), its stars and legends, and even its own clothes range: there's a world that has built up around the practice which was developed by its founder Coach Greg Glassman over several decades. Glassman was the first person in history to define fitness in a meaningful, measurable way: "increased work capacity across broad time and modal domains". He then created a programme specifically designed to improve fitness and health. CrossFit is "constantly varied functional movements performed at relatively high intensity". By functional movements they mean body movements that you would do in your everyday life, like sit down on a chair or reach up to put something on a shelf, or carry your food shopping. These are the core movements of life. These movements reflect aspects of gymnastics, weightlifting, running, rowing and more. By employing a constantly varied approach to training, functional movements and intensity it leads to dramatic gains in fitness. The community that has spontaneously arisen when people do these workouts together is a key component of why CrossFit is so effective, and has given birth to a global network of CrossFit affiliates that now number over 11,000. It harnesses the natural camaraderie, competition and fun of sports. Overall, the aim of CrossFit is to forge a broad, general and inclusive fitness supported by measurable, observable and repeatable results. The programme aims to prepare you for any physical contingency—not only for the unknown but for the unknowable, too. The specialty is not to specialise, and instead prepare for the unexpected. Although CrossFit challenges the world’s fittest, the programme is designed for universal scalability, making it the perfect application for any committed individual, regardless of experience. Trainers will scale the weight load and exercise intensity, but they won’t change the programme. The needs of Olympic athletes and ourselves and our grandparents differ by degree, not by kind. This is why I can turn up at 7am every morning and train alongside people who are much, much fitter than me, we will do the same workout within the same time frame, but we will work at different intensities and weights. So for example a typical Workout of the Day (WOD) could be an AMRAP (As Many Reps As Possible) in twenty minutes. You might be asked to complete 10 burpees, 15 wall balls and 20 kettle bell swings, but the weights of the wall balls could be 4, 6, 9 kilos, or more, and the kettle bells could be anything from 6 to 32 kilos. And the repetitions might be scaled as well, you might find yourself being told to reduce the reps on some workouts. It all depends on the WOD, which changes daily. You don't have to attend an affiliate to take part in CrossFit, there are suggestion on the Crossfit.com website everyday for your training, and many helpful videos and articles. I personally wouldn't have achieved anything without the motivation, encouragement, and support I get from attending my local "box" (that's what they call the place we train, although some people might train in garages, or on the beach, or in car parks). All of the CrossFit Mallorca trainers and the other members are friendly, fun and becoming more and more like family to me every day, in fact I see some of them more than I do my own family some days. This has led to me travelling to Madrid for this coming weekend to photograph the CrossFit Regionals. Athletes from around Europe and Africa will gather at the Caja Magica over the next three days to "throw down" and battle it out to find who should go to Carson, to the final test to find the fittest of them all. Only five teams, five men and five women can go.... It's a growing sport in Spain, and there are a few potentials who might stand a chance of going through, pitting themselves against the more dominant Northern European athletes. Many of them come to Mallorca to prepare and train in the spring and summer months in order to be ready for the extremes of temperature in California in July. These photos illustrate some of the different types of elements we were tested on during The Open 2016. Over the weeks we were asked to do muscle ups, handstand push ups, rowing, deadlifts, burpees, toes to bar, chest to bar, squat cleans and other seemingly impossible things, but everyone has done something, not just the fittest in the gym, but even I was able to put a score on the board. It didn't matter that I was not that fast, or that good, as at least I wasn't on the sofa watching the telly and drinking wine, I've been trying to do something for my body, which has also had a very powerful effect on many other aspects of my life. From dentists, to hairdressers, to engineers, to maintenance people, to mums, to dads, to teenagers, to professional athletes, to grandparents, we're all there, all trying, all sweating, not giving up. It's never too late to start, I was diagnosed last year with an L4/L5 hernia in my back and told that I would have to have an operation. I decided that I didn't want to take that option, and instead I took myself and my poor old body to the gym, found myself something I wanted to do, and made a commitment. Now I am more than 10 kilos lighter and last week I "deadlifted" 100 kilos, I might even send my doctor a photo!